So if you are planning to make the most of Duval Street and all the bars and clubs that the island is renowned for then this Florida Keys camping site maybe the perfect location for you. The reason for this bold claim? Well, whatever you can save on paying for accommodation in Key West you will be better placed to have the greatest time you can possibly have in the Florida Keys. 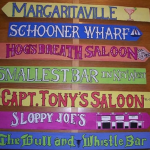 Down at the southernmost point you will find that hotels, motels and rentals are an expensive as anywhere in the whole of America, and when it comes to drink and stuff….thank god for happy hour. That is not the same here however, which is nothing but reasonable, at $50 per night (at time of writing they are charging $20.00!) although as many people will point out…..it’s still camping though! Let start with pinpoint the location for you from a few places around the Florida Keys, so you can have an idea if staying at Lazy Lakes Campground and RV resort will be a possibility whilst you visit the Keys. Where is Lazy Lakes Campground and RV Resort Then? Can I Camp In A Tent At Lazy Lakes Or Is It All RV’s? Yes you can use a tent if you wish at Lazy Lakes. 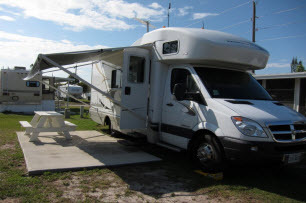 This is one those Florida Key camping resorts that cater for Big rigs, full sized RV’s, tents or you can even choose to hire a mobile home. So you really have options. If you decide to use a tent, then you will be pleased to know that they have hot showers and restrooms, laundry facilities, and a general store which are easily assessable too. I will mention about the shower blocks, as with all camping sites, some time you can just be unlucky when you visit the shower block and be between management visits. Which happened to me once, where a group of whoever had messed things up a bit when I went for a shower. But the next time I looked in they were pretty much ship shape again, which you can’t say fairer than that really. Although the Lazy Lakes campground cater for all types of camping you will find more RV’s than anything else. I guess this is where the money to be made compared to a tent or two. But with 25 sites saved for the happy camper, who wants to zip up the fly sheet and climb into their sleeping bag each night, then you will be more than catered for. What About RV’s Do We Need To Book? For the sake of a phone call I would definitely recommend booking, but with 97 pitches they generally will have enough pitches for most people who just turn up unannounced. The maximum length that the RV's can be is 40 feet in length however. What Else Do They Have There To Entertain Me? Well this is where Lazy Lakes come into their own, which has led to many rave reviews that I have seen on Tripadvisor etc. Or instead you can make up your own entertainment by taking a stroll around the paths that wind their way around the lakes, or perhaps you fancy getting onto the water and making use of the totally free canoes that Lazy Lakes have provided. Bring your rod with you and a bit of fishing might be your thing, which from the fishing pier you will have a great day casting your rod beneath the Florida Keys sun. For many all of these things pale into insignificance when actually jumping in and swimming in the lake, which you are allowed to do. However if you have read any of the other pages on this site, you will know that I love a heated pool instead. And hey……yep, they have this covered too! What Is There Around To Do Away From The Lazy Lakes site? Well as we said earlier you are only about ten minutes away from Key West, so for many people that will take up the majority of their time. But actually on Sugarloaf Key there isn’t a lot to do, unless you fancy taking advantage of hiring a boat charter to take you out on the Florida Keys Waters. This is of course a hugely popular pastime for many, so you will need to book one of the charters to ensure that you don't miss out. However a little bit further away you will have the chance of visiting such places as shown below which are all within 15 miles of the resort. Simply click on the images for more information on each. The lowers Keys have a really good shuttle service that can take you into Key West and back, and is very prompt and efficient. For the cost of about $4.00 dollars each way you can really save yourself a fortune on staying actually in Key West if you decide to go this route and pop in and out each day. Or perhaps you would fancy getting a taxi instead which we can provide the information for too. So Sugarloaf Key is a convenient location and with Lazy Lakes being a really nice campsite I think this is a really good alternative to what you might have had in your head. And if you are like me, I would rather spend my money on drinking, eating and having a good time more than just where to rest my head each night.